While Peru has a long coastline, and there are a number of marine visitors to the shores that are exotic in nature, what the ocean throws up on the beaches is not always pleasant. 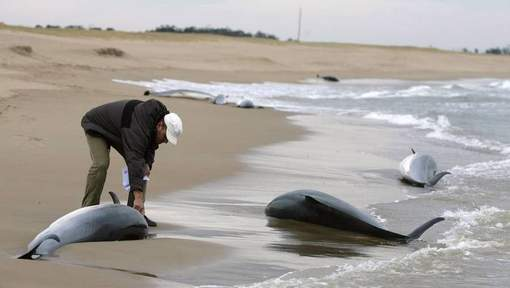 In 2012, nearly a thousand dolphins washed up dead along Peru’s northern coast. 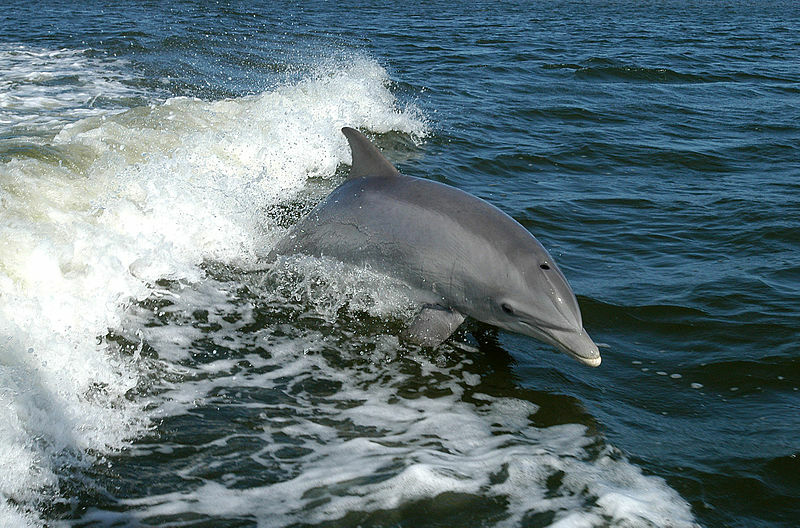 What is causing the deaths of the dolphins? Dr. Carlos Yaipen Llanos of ORCA in Peru revealed that the cause of the Mass Mortality Event (MME) was acoustical trauma. Acoustical trauma is caused when fishermen and miners explode dynamites and other explosives in the ocean. It is a well known fact that large scale fishing usually goes under the radar in the deep seas and fishing companies often resort to illegal methods to increase their catch. The Peruvian government has steadfastly worked towards helping stranded dolphins and large marine fish by pushing them back into the ocean. However, when they wash up dead due to acoustic trauma and when the source of this acoustic trauma remains elusive, it can be particularly disturbing. Loud sonar blasts can be another source of acoustic trauma to marine animals. Is it just the acoustic trauma? The damage to their bodies can be so devastating that bubbles replaced normal tissues in their livers. Dynamites were ruled out as a cause of the MME but it still remains to be seen what is causing the deaths of these marine animals. Dead dolphins and other marine animals regularly wash up on Peru’s pristine shores, and many a times, these animals have a lot of plastic in their bellies too. The future of dolphins in and around Peru’s coast remains precarious. 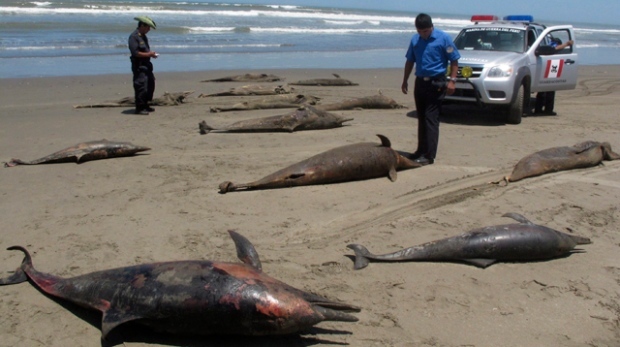 Unless drastic steps are taken to eliminate the source of acoustic trauma, people living on the coast Peru cannot wish away the dead dolphins that wash up on the shore. These incidents make us ponder to what extent human activities have wreaked havoc on earth, and what we can all do in order to save the blue planet we all call home.